A powerhouse thriller that really makes you think. especially in it’s second half. 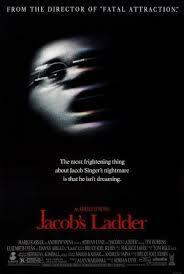 If Jacob’s Ladder came out today, it would be the kind of movie that everyone was going to see and talk about. It is the inception of the nineties, meaning I am not sure I understand everything, but it is very twisty and very interesting. The not knowing and not having all of the answers is what makes this kind of movie so much fun. It is in no way neat and wrapped up. Instead, it is for the audience to figure out, question, and debate. The movie is about a guy who has returned home from Vietnam and is seeing things. That is the basic concept briefly, and it really does not sound like much of anything at all. Boy is that wrong. For the first half of the film, there really is not a whole lot going on. That is because we are playing catch-up, trying to learn as much as we can about this guy through flashbacks, before the real good stuff starts happening. The movie opens with him and his Vietnam soldier friends out in the jungle suddenly going crazy. They are attacked, and Tim Robins (Jacob Singer) are stabbed by a bayonet. 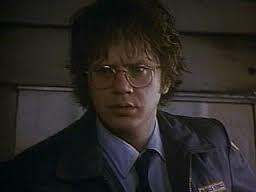 Cut to years later and he is at home living with his girlfriend, Jezzie (Elizabeth Pena). In addition, robins are seeing things. Demons peering out windows of trains as they drive by. He is almost run over by a car in the street and almost run over by a subway train down on the tracks. He goes to see the doctor who treated him and his friends after the war and finds out that the doctor was killed in an explosion. In addition, at a party, he starts hallucinating and ends up freaking out, lying on the floor screaming. While all of this is happening, we are also seeing flashbacks. Before the war, and maybe even after it, Jacob had a different life. He had a wife, Sarah, and three kids. One of the kids, a small boy, was run over by a car while he was out in the street riding his bicycle. Jacob is haunted by this memory. Apparently, as the story goes, Jacob has a brilliant mind and a master’s degree and should really be teaching as a professor somewhere. Instead, he works at the post office. In addition, this is the reason why his wife, Sarah, left him. For Jacob, after Vietnam, he just did not want to do anymore thinking. Well, the first half might be routine, but the second half suddenly becomes like a whole other movie. It starts with Jacob getting a call from one of his friends from Vietnam. This guy is seeing things too and wants to meet up. So they meet and sit down and talk, and it turns out they are both experiencing the same thing? The friend is a little paranoid and insists that someone is out to get him, and when they leave the bar, the friend gets in his car to drive away. Only when he turns the car on, it explodes. This brings Jacob and the rest of his former Vietnam friends together. They all meet up at the funeral for that guy who died in the car bomb, and they all seem to be going through the same thing now with the hallucinations. There are some famous actors on hand here. O.K.’s Eric La Salle and Ving Rhames. The guys decide that for all of them to be having the same problem, it means the army must have done something to them. Therefore, they decide to go see a lawyer. That lawyer is Jason Alexander, and with much uncertainty, he takes their case. Then suddenly Jacob learns that they have all dropped the case. Not all of his friends want to pursue it anymore, and Jacob wants to find out why. Of course they will not tell him, which makes it that much scarier. Instead, it is more like a “trust me, leave this one alone,” situation and that is creepy as hell because you do not know why. Now, in the final third of the film, everything is explained. Kind of. Jacob takes a violent trip into hell, which looks like a disturbing insane asylum with bloody body parts on the floors. Then he finds out the truth about the army and what was going on. Finally, we learn the truth about Jacob and where he has been this whole time. We also learn what the demons mean. This is a terrific movie. It has one of those endings like the sixth sense that is not only surprising, but also intriguing. It makes you want to know more, and to see it again. In addition, many questions come up in the second half about what is real and what is not. Adriane Lynne, which is mostly known for his affair movies (Fatal Attraction, Unfaithful), directed the movie and did a fantastic job. That is because it is scary and thrilling and it does answer all of the audience’s questions. What a cool movie.